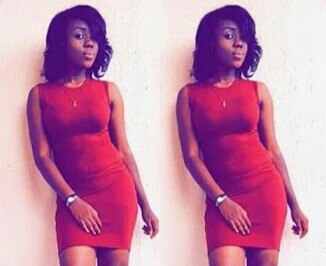 Two days ago, the story was all over social media that a student of Computer Science, Imo State University stabbed her boyfriend and then committed suicide. 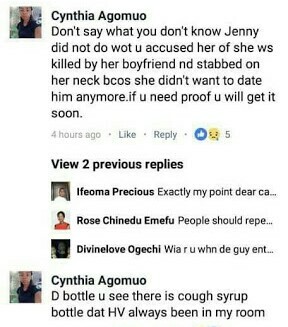 The victim, Miss Jennifer Agomuo had allegedly gotten into a fight with her boyfriend who was also an IMSU student, and things went bloody. and Jennifer was allegedly killed by her boyfriend who probably had to take these measures to cover up. What actually happened to the lady? According to her, the bottle which people claimed was the container of poison she took was actually a cough syrup and had been in their room for a long time now. She said they have evidence that her sister was killed.